Today, I will share my review of one of the products which I often use. This is the second Facewash which I am going to review, earlier I shared my review of Vedicline Neem Brahmi Face wash. 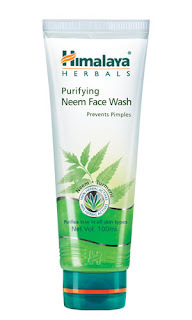 I am going to write about my experience with Himalaya Herbal's Purifying Neem Face Wash. This is one of famous and most popular product of Himalaya Herbal and we can easily find it in every shop. The huge availability of this product indicates its popularity among the people. I am using this product from last many years and I have always found it a good product. I regularly use a face wash because of skin sensitivity to dust. In rainy season, I always prefer Himalaya's Purifying Neeam Face wash because of need of cleaning the excess skin bacteria and dust. The main ingredients of this face wash are Neem and Termeric. They both clean the skin with their antibacterial and anitfungal properties. 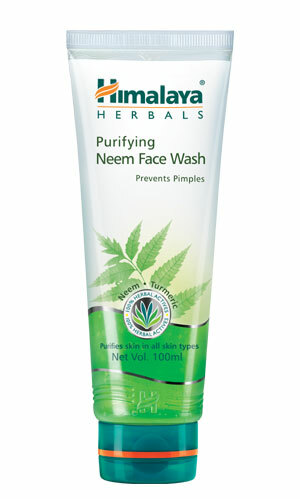 Himalaya's Neem Face wash is a soap free herbal formulation; therefore, we are not applying any chemical on our face. The cleaning properties of Neem are widely known and people are using it from ancient times for skin care. There is hardly anything other than Neem which cares the skin so deeply. It has great anti-bacterial properties which clean our skin from the bacteria. Neem is a very good natural alternative for increasing the skin health and this is the main thing why this product is so effective. The second active ingredient is Turmeric, which is known for its strong antiseptic and anti-inflammatory properties. The use of Turmeric is skin is also very old and many people use it to increase the skin tone and elasticity. Therefore, the use of Turmeric makes it further a good face wash. The price of this product is also competitive as compared to other face washes of different brands. After a so many years of use, I have found it very safe and helpful product. This product is in my list of trusted products.